The Department of Social Protection (DSP) is responsible for the disbursement of over 20 billion Euro worth of payments to its clients across the state each year. Historically, it has relied on an elaborate paper-based system of applications and paper forms to determine eligibility and facilitate the processing of these payments. This arrangement generated huge volumes of work – much of it repetitive and monotonous – as staff keyed data into the variety of systems needed to support their work. In addition, the time taken to manually digitise forms slowed down processing and made the process more prone to errors. Following a competitive tender process, Inpute Technologies were awarded a contract to design and implement a suite of Optical Character Recognition (OCR) and Intelligent Character Recognition (ICR) solutions across the Department’s 123 decentralised HQ and network of Intreo offices. The aim was to digitise forms and thereby eliminate repetitive, paper-based manual processes. Eoin Fleming at the DSP explains that this engagement was a series of individual projects, in which Inpute designed a suite of specific solutions tailored to the needs of each scheme. Fleming explains that as Inpute’s solutions began to prove themselves, the Department brought it’s Forms Design Team on board. All existing forms had been designed for manual processing. For scanning purposes, the Design Team introduced a less congested layout, with reduced detail per page, and a lot more “white” space. This allowed the Inpute solution to process the scanned forms more efficiently, faster and with minimum errors. However, re-designing the paperwork wasn’t an option in every case. For operational reasons some forms couldn’t be changed. Instead, the scanning solution had to be optimised to deal with the form as it was. Over the past two years, scanners have been installed in all 123 of the Department’s HQ and Intreo offices. In each case, the system has been instrumental in freeing up resources and eliminating large volumes of repetitive work. Each week the Department captures data from over 500,000 single and multi-page forms. In particular, Eoin Fleming singles out the way in which Inpute’s ICR solution has revolutionised Jobseekers scheme certification processing – which is used in the disbursement of Jobseekers payments. Working with Inpute, the Department developed an A4-size version of the certificate. A block of four certificates issues out to the customer each month. The customer completes one certificate at the end of each week, has it stamped by his employer and then forwards it to the Dept. 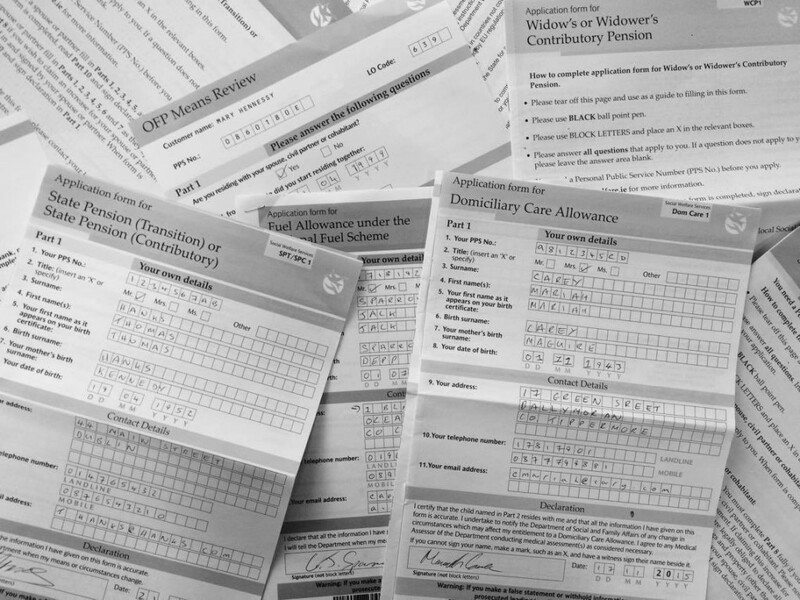 These forms are then scanned into the system in the local Intreo offices. This is another high volume process, with upwards of 2,500 certificates flooding into each of the Department’s busiest offices each week.